The CMDMW series of chassis mount dc/dc converters are single output modules with 15 watts of output power. This series is designed for a 4:1 input voltage range of 9VDC-36VDC, or 18VDC-75VDC. Some features include 1500VDC I/O isolation, remote on/off, and short circuit protection. Chassis mounts come in open frame, U channel, and enclosed types. 2. 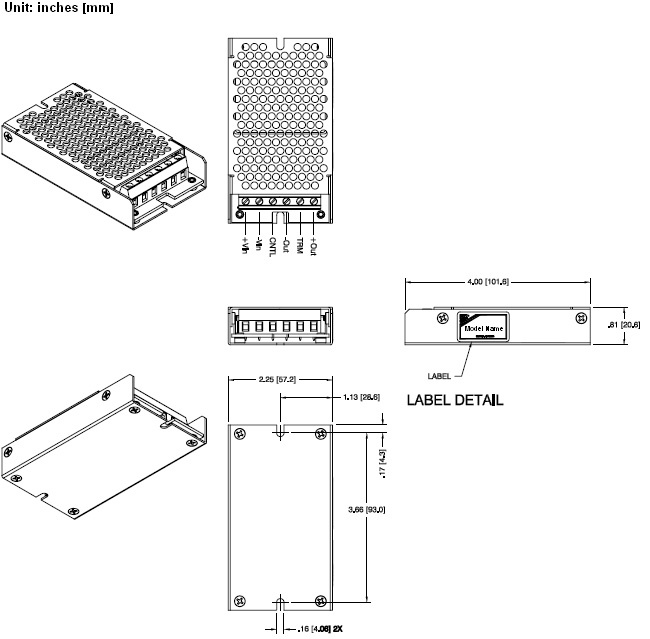 The CMDMW series requires a minimum 10% load on the output to maintain specified regulation. Operation under no-load condition will not damage these devices, however they may not meet all listed specifications. 3. Other input and output voltages may be available, please contact factory. 4. On/Off control is optional, please contact factory. Control voltage referenced to negative input (-Vin). 5. 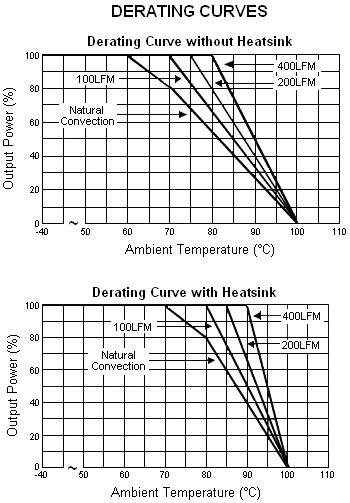 Heat-sink is optional, consult factory. 6. Chassis Mount Options: No suffix for open frame, "U" suffix for U Channel (add $10.00 to the listed price), and "E" suffix for Enclosed type (add $17.00 to the listed price).